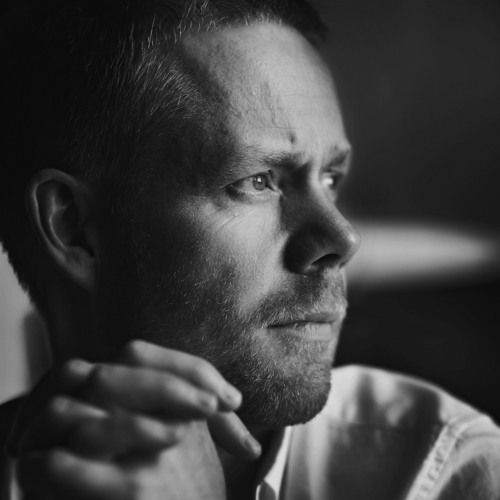 Max Richter trained in composition and piano at Edinburgh University, at the Royal Academy of Music, and with Luciano Berio in Florence. On completing his studies, Max co-founded the iconoclastic classical ensemble Piano Circus, where he stayed for ten years, commissioning and performing works by Arvo Pärt, Brian Eno, Philip Glass, Julia Wolfe and Steve Reich. In the late 90s he worked with a number of electronic artists, notably Future Sound of London on their album 'Dead Cities". He subsequently collaborated with FSOL over a period of two years, also contributing to the albums "The Isness" and "The Peppermint Tree and Seeds of Superconsciousness". Max also collaborated with Mercury Prize winner Roni Size, on "In the Mode". In June 2002, Max released his debut solo album, "memoryhouse", recorded with The BBC Philharmonic Orchestra. This was followed in March 2004 by FatCat's release of "The Blue Notebooks", with featured readings by Tilda Swinton. In 2005 Max produced Vashti Bunyan's outstanding comeback album "Lookaftering". 2006 saw the release of "Songs From Before" based on Haruki Murakami texts read by Robert Wyatt. That same year, Max began performing "from The Art of Mirrors", an evolving score to previously unseen Super 8mm films of Derek Jarman. Max's more recent work continues to stretch the notions of what Classical music is. ‘24 Postcards In Full Colour’, released in August 2008, is an experimental work made up of 24 composed ringtones. Max works widely in film music, installation and the theatre, most recently on INFRA, made with Wayne MacGregor and Julian Opie for The Royal Ballet, London. The Ballet was the subject of a BBC 'making of' documentary. Max was named 2008 European Composer Of The Year for his score to Ari Folman's Waltz With Bashir, for which he was also nominated for the Prix France Musique.